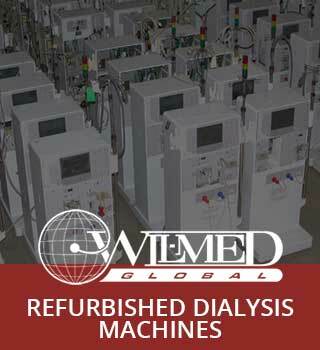 Wil-Med Global is on a mission to help dialysis clinics help more patients through high-quality refurbished dialysis equipment. Some clinics can save up to 65% on equipment. Find out how much you can save. When you buy dialysis equipment from Wil-Med, you can rest assured that our factory trained technicians have touched every machine. 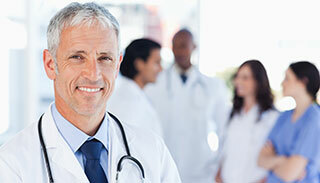 We take quality serious because we believe in quality patient care. 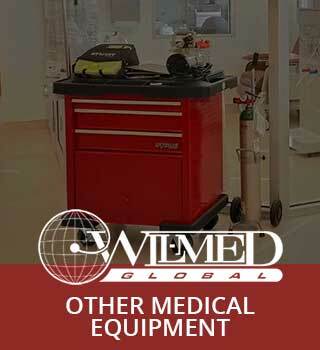 When you do business with Wil-Med Global, you will understand that we make your patient's care our number one priority. That is why we delivery the best quality refurbished dialysis equipment for your clinic. Everything that we do is from our 16,000 square foot facility located in the heart of the United States. 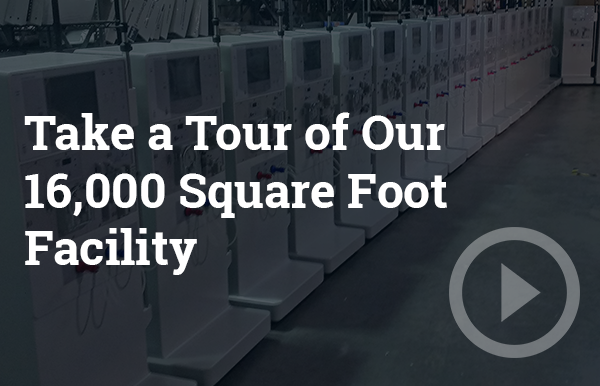 Our large facility allows us to keep an inventory of machines ready to be refurbished for your clinic. You can get all of the equipment that you need for your dialysis clinic. You can rest assured that you are going to get high-quality dialysis machines for your clinic when you purchase from Wil-Med. 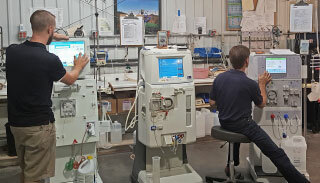 We get the machines we refurbish from the top dialysis management groups in the United States. You can select from the best brands and models in the dialysis industry. Each and every machine is fully reconditioned to the original factory specifications for your clinic. All dialysis facilities require a properly designed and maintained water treatment system to safeguard patients. Save on patient costs by utilizing a reuse system that cleans, rinses, and tests used dialyzer membranes with a fully computerized workstation. You can also purchase other equipment that you will need for your dialysis equipment including chairs, medication carts, scales and more. 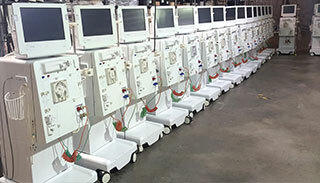 Are you looking for a way to save money on dialysis machines for your dialysis clinic? View our available models here. 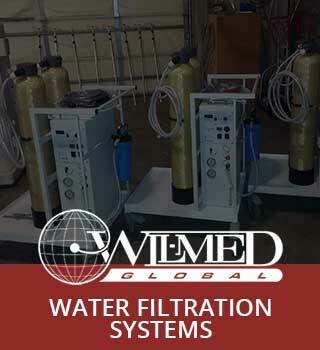 Do you need to include reverse osmosis water filtration systems with your order? We have a variety of different systems here. You can find everything that you need to run your dialysis clinic including supplemental medical equipment.